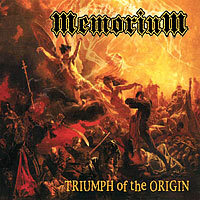 Memorium is a Canadian Death Metal band formed in 2001 which aims at modern death metal audiance. The Canucks produced thier first independent EP, entitled "Triumph of the Origin", in 2005. They are influenced from bands like Carcass and Hatebreed. www.memorium13.com - you can find two tracks for download!